They say 40’s the new 30 and 50’s the new 40, but have perspectives changed or are people actually looking younger than in years gone by? Maybe it’s a little of both. There are plenty of cosmetic procedures available these days, but not everyone’s running off to the plastic surgeon’s office to get rid of wrinkles. Hair dyes, creams, serums and knowledge about healthy eating are likely all contributing factors, but there is also an ever-expanding range of youth enhancing gadgets on the market. 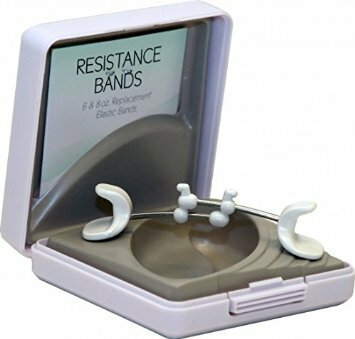 This odd looking little gadget fits inside the corners of your mouth and adds resistance to help tone up your facial muscles. You just pop it in and squeeze the device with your mouth. As your muscles get stronger you change the rubber bands to ones with more resistance. This device reportedly works a number of muscles in the face, counteracting a sagging neck, jowls, lines around the mouth and nose and even eye wrinkles. Many users report quick results. See reviews for the Facial-Flex here. 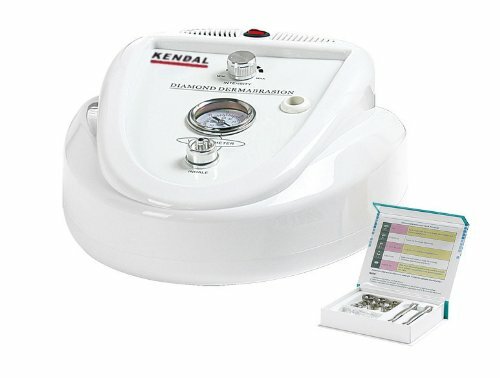 This space-age looking device uses gentle microcurrent waves to tone facial muscles and stimulate and smooth the skin. Users say that over time the skin becomes firmer and thicker and the face has a fuller look because of the toned up muscles underneath. 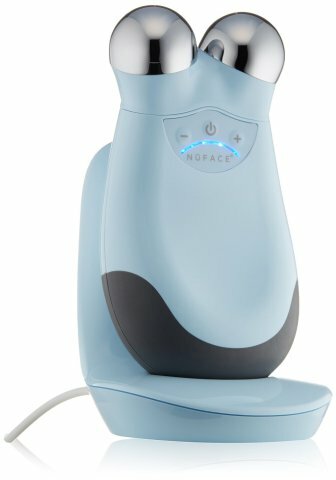 The Nu-Face Facial Toning Device is the only "FDA-cleared at-home, handheld device for facial stimulation". The manufacturer claims that it provides many of the same microcurrent benefits of machines used in high end spas and dermatologist offices. While there are a few that don't like this machine, most reviewers seem very impressed with this machine and gives it high scores for effectiveness when you use it consistently. One of the best ways to have great looking even skin is to have regular microdermabrasions but they are very costly. One trip to the dermatologist will cost almost the same as getting your own professional grade dermabrasion to use in the privacy and convenience of your home. This machines provides a non-surgical skin resurfacing procedure. It uses sterile diamond heads to peel and rub off the top layer of dead skin cells followed by a suction to remove any dirt and dead skin. This is a high quality machine and gets excellent reviews. So do you think any of these 5 anti-aging devices may work for you? Have you found other home remedies or anti-aging products that work well? I have found that an effective facial peel can also be extremely helpful in improving the look of my skin, see my Top 5 Best Facial Peels picks. You may also want to take a look at our top 5 picks for beauty gadgets for women over 40. Originally published in October 2009 and completely updated on February 2016.